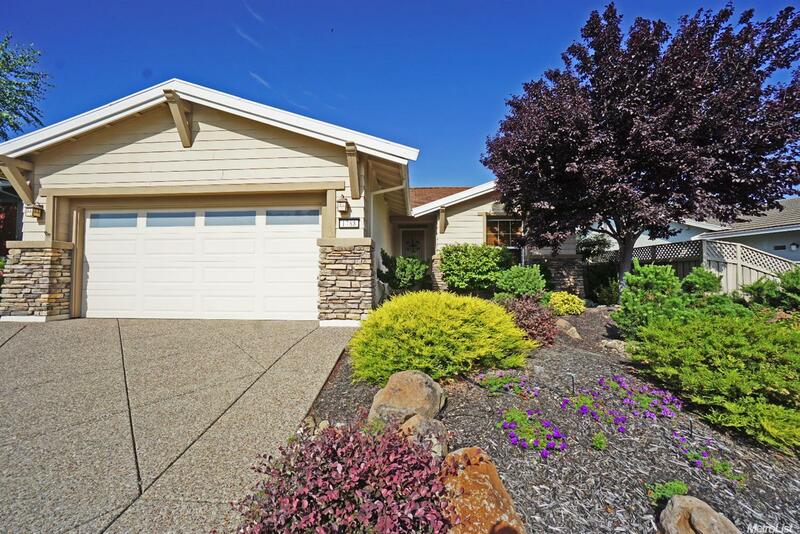 Sun City Lincoln's most popular home, this lovely Alpine model is set high in the Lincoln Hills! It has gorgeous granite counters & backsplash, top of the line Cherry cabinets & beautiful hardwood floors. Master bedroom has a bay window, master bathroom has twin sinks & the huge walk-in closet has amazing built-ins. Carpets in the bedrooms & living room have been upgraded. Functional vinyl floors in Laundry & Bathrooms. Decorative hand seeded aggregate driveway & Patio. Appliances are included!